The wedding season is on and every bride and groom are trying to look their glamorous best this season. For those who are still seeking inspirations and ideas, look no further than our ever-fashionable world of cinema. When it comes to inspiring wedding looks, every celebrity and every star has something or the other to offer that will make you go green with envy or give you the most innovative idea to integrate into your wedding attire and outfit. We share with you some of the best looks of the year, taken from real-life celebrity weddings, on-screen looks, and wedding collections from ace designers of the country, for you to flaunt yourself..
We loved her reception look in the gold saree with the emerald jewellery and the neat hairdo. 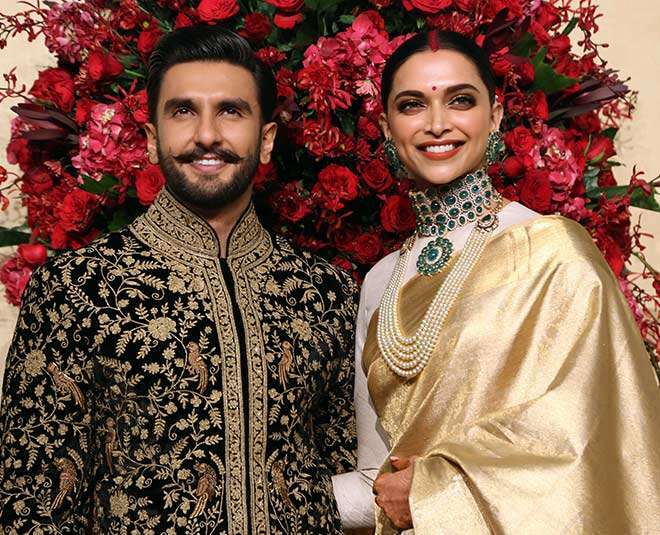 Ranveer’s black ethnic ensemble by Rohit Bahl was equally stunning. Anushka’s wedding lehenga in pastel floral embroidery and the sheer fabric gave her ensemble a dreamy feel. 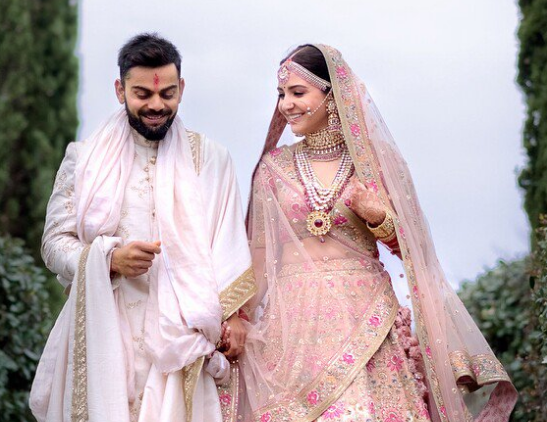 Coordinating with his bride, Virat also sported a subtle pastel look. 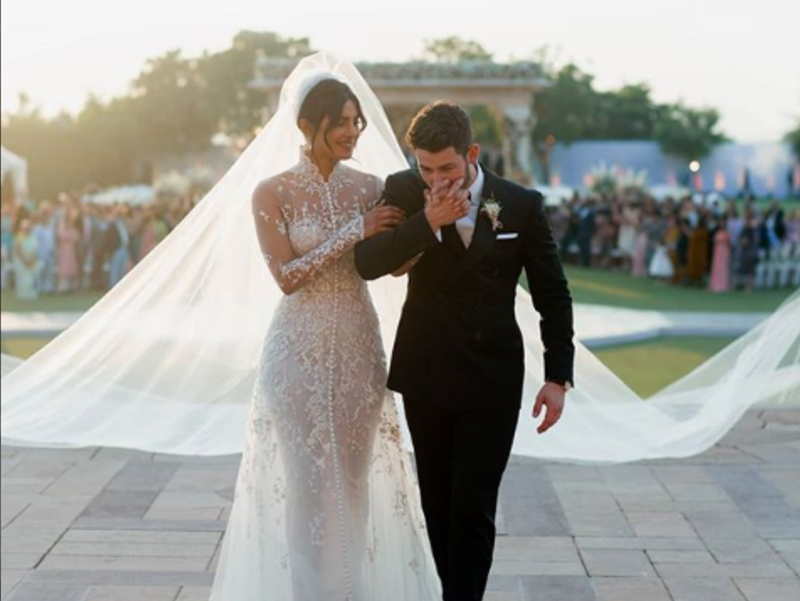 We particularly loved the duo’s Christian wedding look where the bride wore a layered and beaded bridal gown and Nick wore a black tuxedo by Ralph Lauren. 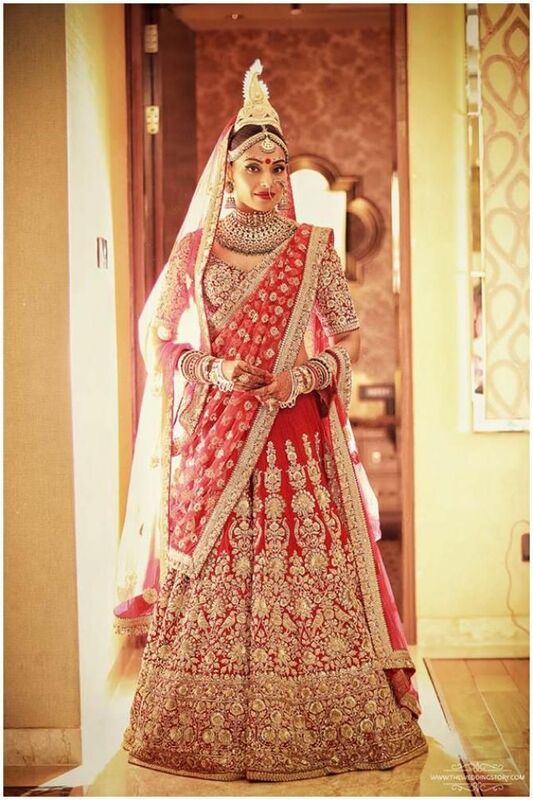 The Bengali beauty donned a mix of a traditional Bengali and Punjabi bridal look in a red Sabyasachi lehenga for her wedding. 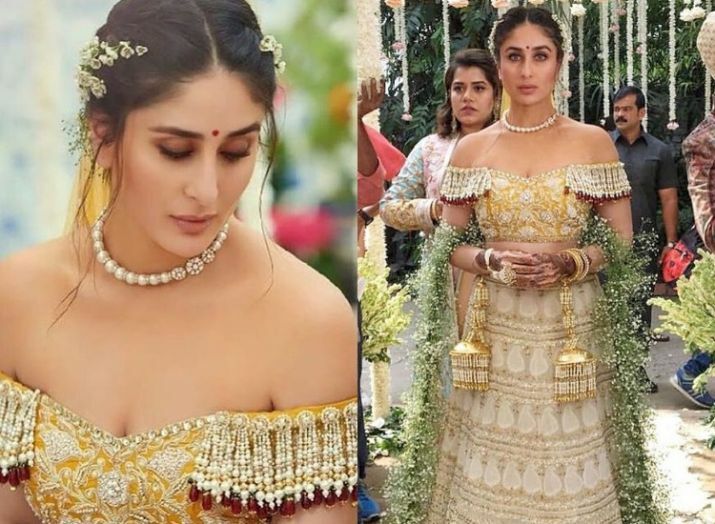 Kareena’s best look in the movie came from the off-shoulder choli and the floral hairdo. 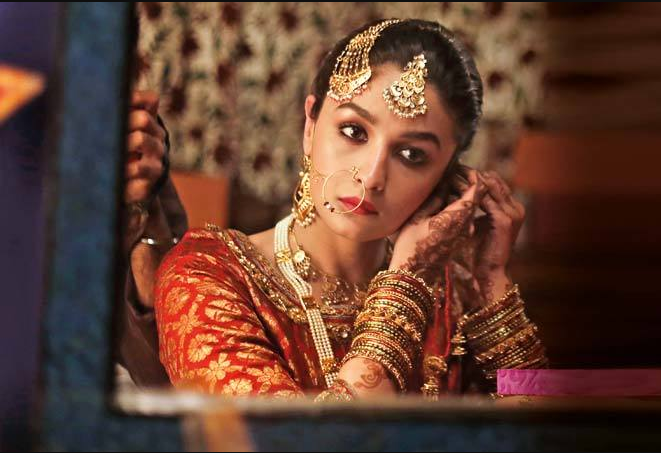 Portraying a character from the 70s, Alia’s bridal look in the film had a touch of vintage, which adds a dash of flair to the modern bride. The ultimate fashionista sported this bridal ensemble in purple which can be a unique colour to add to the bridal wardrobe. 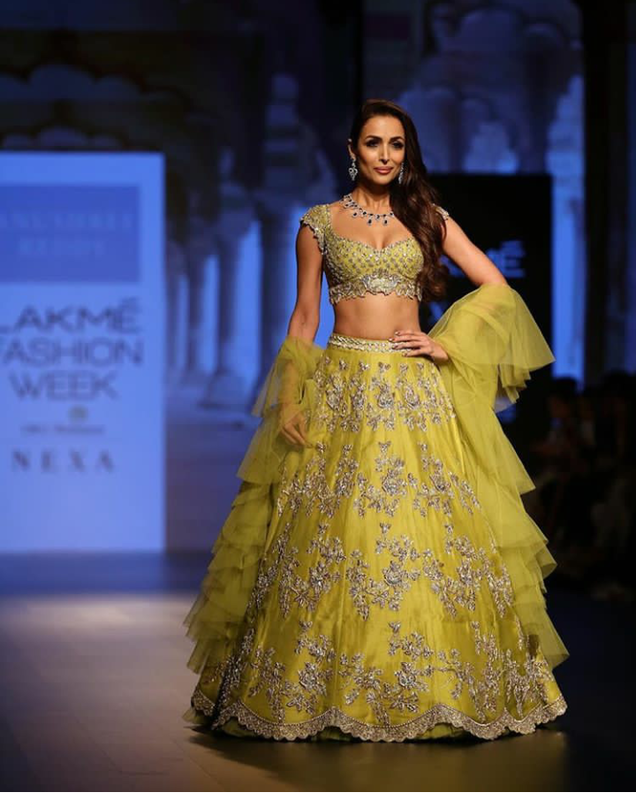 At the Lakme Fashion Week, Malaika walked the ramp as the showstopper in a yellow-lime lehenga-choli with heavy embellishment.